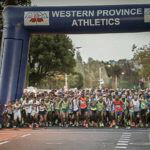 Sanlam Cape Town Marathon is brought to you by a partnership between Western Province Athletics (WPA), ASEM Running and the City of Cape Town, it is endorsed by Elana Meyer and Francois Pienaar, two of South Africa’s most celebrated sporting greats. Sanlam Cape Town Marathon has a vision of becoming one of the rare World Marathon Majors. We believe that the Mother City, Cape Town, is the ideal host for an iconic African city marathon that showcases the continent’s remarkable talent for long-distance running. Sanlam Cape Town Marathon aims to deliver a prestigious, sustainable, all-inclusive city marathon event that brings together world runners from elite athletes to wheelchair racers, as well as social and first-time runners, for an exceptional, world-class marathon experience. Prize giving will be for the top three men and wom­en directly after the top three winners have fin­ished. All other prizes (including team prizes and age group prizes) will be awarded later electroni­cally and individually. As per IAAF standards no team managers or unau­thorised officials will be allowed into the finish area. This will be strictly enforced. Please note that due to the severe water restric­tions being experienced in Cape Town, there will be no shower facilities. We hope you understand. 06h30 – May be subject to change, please check at collection points – 42 km – starts at the Moshi Cooperative University (MoCU) Ushirika Stadium in Moshi. 07h00 – May be subject to change, please check at collection points – 21 km – starts at the top gate to MoCU Ushirika Stadium, on Sokoine Road and finishes inside the stadium. 07h15 – May be subject to change, please check at collection points – Fun Run – starts at the bottom of MoCU Ushirika Stadium, on Uru Road – and finishes inside the stadium. NO VEHICLES other than organisers’ will be allowed into the stadium. There is parking outside on Sokoine Road / Mweka Road opposite the TOP entrance of MuCO. You will NOT BE ALLOWED to bring your car into the stadium, or into the area surrounding it – so please don’t try! Similarly access at certain entrances will be restricted to athletes only. PLEASE DO NOT THROW YOUR LITTER INTO THE BUSH. THROW IT IN THE BINS PROVIDED, OR ON THE ROAD WHERE WE CAN EASILY FIND IT AND DISPOSE OF IT. There will be a roaming ambulance – if you are having difficulty STOP AND LET A FELLOW RUNNER ADVISE AN ORGANIZER WHERE YOU ARE THEY WILL LET US KNOW, and you will be collected off the route. There also is a sweep-vehicle at the end. 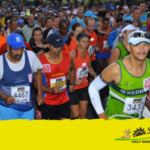 You also have telephone numbers printed on your race numbers that you can phone in case of an Emergency – KK Security will respond accordingly to your call. This race will be televised on SuperSport and shown in April. The film crew will be on bikes – so smile, and wave!! Apart from local print and TV, this race will be covered extensively on Super Sport (SA & the rest of Africa) and SABC and possibly international TV and radio, and of course athletics magazines. The whole event is being filmed by a contracted company for inclusion in TV channels after the event. Please keep an eye on our Facebook Page and our website to find out the scheduled slots and times. AMATEUR PHOTOGRAPHS will be taken along the route. We may not manage to get all of you, and cannot promise top quality! All photos will be posted on the website and there is no charge to download. Hi-res will also be available. There will be music at the finish, and sometimes live entertainment will be provided. There is an hospitality tent, with shade and food available as well as a masseur at an additional cost (this should be booked at the time of entering). A number of stalls and stands at the finish will sell food, drinks etc. There will be a tog bag tent near the start line. Do not leave anything valuable in your tog bag please. CORPORATE SPONSORS’ TEAMS – will be included in general results as well as on a separate result sheet. FUN RUN – No official results will be produced, ages 10 years and upwards if unaccompanied by an adult. Any age with adult supervision. Whilst categories may be noted on the results there may not necessarily be any recognition or prizes on race day for categories indicated above. The race is being run under the auspices of the Tanzanian Amateur Athletics Association TAAA and the IAAF rules will govern this event. The Sanlam Cape Town Marathon Registration and EXPO will take place at the Century City Conference Centre (GPS: 33.8958 °S, 18.5052 °E – No. 4 Energy Lane, Bridgeways Precinct, Century City). Century City is strategically located on the N1 highway, just a few minutes from Cape Town CBD. Century City is centrally located in relation to the greater Cape Town metropole, with easy access from the CBD, the popular Victoria and Alfred Waterfront, and the Southern, Northern and West Coast suburbs. Come and experience the spirit of Cape Town at this unique Sanlam Cape Town Marathon exhibition event. Running the marathon is unique way to experience the gorgeous highlights and the vibrant spirit of one of Africa’s most visited and most celebrated city. It is an ideal race both for athletes who aim to achieve fast times, and for first-timers who want to finish their inaugural marathon. The route is wheelchair-friendly, and the 6 hour 30 minute cut-off time can accommodate the social runner. Due to IAAF requirements the race organisers will be strictly enforcing cut-off times in certain locations. There will be pick up busses for all athletes that do not make the cut-off times at the following points. Roving pick-ups will also take place. Timing chips are being used and will be placed on the back of your race number – please note if chip is tampered with no result or position will be recorded. On-line Entries close at midnight on 26th August 2019, or when the maximum entry limit has been reached. NO LATE ENTRIES accepted. Manual entries close on 16th August 2019, or when the maximum entry limit has been reached. NO LATE ENTRIES accepted. RUN GREEN: The Sanlam Cape Town Marathon event is a climate neutral event. We are encouraging all runners to help us support the #RunGreen campaign. 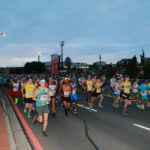 CLICK HERE RULES FOR ATHLETE REPRESENTATIVES Should the AR not comply with these rules the Cape Town Marathon reserves their rights to report the AR to the IAAF and ASA should they not comply. The Sanlam Cape Town Marathon proudly presents RTRT.me, a real time tracking service for all of the 42.2km marathon runners. STEP TWO: UNDER SEACH PARTIPANTS CATEGORY: Enter participants name or race number – select your runner. Once the runner is downloaded onto the RTRT.me app on your phone, you can follow their progress. PLEASE NOTE: Peace Proceedings start at 07h10. 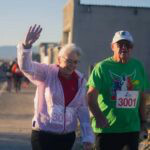 Cape Town is the proud and gracious hostess of an international 10km PEACE Run / Walk. We challenge you to experience Africa’s beautiful Mother City as never before, by running for PEACE in the Sanlam Cape Town 10km PEACE RUN. Join the global community of thousands of people in countries across the world, who traditionally come together to run 10km races to commemorate the United Nation’s International Day of Peace. This heartfelt and unifying 10km PEACE RUN is open to all runners ranging across elite athletes to social runners / walkers. The 10km PEACE RUN provides a flat and fast route, where you will be able to take in the natural beauty of the Atlantic seaboard. By running this event you will experience the vibrant spirit of the Cape Town community in a unique way and also contribute towards PEACE. The two hour cut-off time can accommodate walkers. Time Chips: A temporary chip is included in the race fee and will be supplied at registration. On-line Entries close at midnight on 26th August 2019, or when the maximum entry limit of 2500 entries has been reached. LATE ENTRIES will be accepted at Registration on Friday 13th September 2019. All entrants agree that the information that the information that they have supplied is true and correct. That they are in good health, are physically fit and trained to participate in and understand the risks associated with the event. They agree to abide by all the rules and conditions of the event and accept that they enter and participate at their own risk and fully indemnify the organisers, ASA, WPA, all sponsors and partners, volunteer groups, medical personal and any or all other parties from any direct or indirect loss of damage, however caused, arrising from their participation in the event, or related to the event. They grand permission in terms of section 51 of the electronics communication transactions act 25 of 2002, to use their name, race information, photographs, video tapes, broadcasts, telecasts in which they may appear free of charge. They accept that their personal information will remain confidential and consent to same being shared with the parties involved in the organisation of the event for purposes of registration, timing, medical care, IAAF world rankings, World Marathon Majors age group rankings and promotional activities related to the event. The marathon is a long personal journey into the very centre of the soul. Marathon runners feed on YOUR encouragement to get them over the line. Many are far away from home, visitors to this beautiful city – be one of the many enthusiastic ambassadors welcoming and encouraging them. All you need is music, dance, entertainment or cheering to make their experience an unforgettable one. And we’ve made it so easy for you. UNDER SEACH PARTIPANTS CATEGORY: Enter participants name or race number – select your runner. Once the runner is downloaded onto the RTRT.me app on your phone, you can follow their progress. MEDICAL:Mediclinic and ER24 are our medical partners and will be looking after you on race day.Mediclinic are our medical partners, and will be looking after you on race day. For any medical emergencies call 021 417 4150.Information relating to runners who have been admitted to the medical tent will be available at the information centre, located on the field at the finish. There will be a full medical and massage tent at the finish. Several mobile ER24 ambulances or Medical Personnel will be stationed approximately every 5km along the route. There will be a full medical tent at the finish. Several mobile ambulances or Medical Personnel will be stationed approximately every 5km along the route. In the Greenpoint area we will have a mobile doctor vehicle to cover the shorter routes. All runners must register and collect their race packs prior to the race at the Sanlam Cape Town Marathon Exhibition. The Sanlam Cape Town Marathon Registration and EXPO will take place at the Century City Conference Centre. Century City is strategically located on the N1 highway, just a few minutes from Cape Town CBD. Century City is centrally located in relation to the greater Cape Town metropole, with easy access from the CBD, the popular Victoria and Alfred Waterfront, and the Southern, Northern and West Coast suburbs. In the event that a runner is not able to register and collect in person, a third party can be appointed. In order to assign a third party please download and complete the Third Party Authorisation form and bring all necessary documents required to Cape Town Marathon Registration at the Century City Conference Centre. The Sanlam Cape Town Marathon is one of the world’s irresistible Gold Label City Marathons. Experience the route of Africa’s extraordinary Mother City as you rise to the heroic challenge of athletics most celebrated race – the classic Olympic distance of 42.2 km. The race starts at the world famed tourist destination the V&A Waterfront. A flat, fast start along the Atlantic Seaboard, it follows trendy Mouille-Point and Sea Point beach-front running to the sound of the crashing waves on the Sea Point promenade. You then return under the beautiful backdrop of Signal Hill, into Cape Town’s City Centre. Weaving your way through the cities eclectic mix of modern skyscrapers and historical landmarks, runners can expect a fast pace and welcome roadside encouragement as you run past her historical landmarks of Long Street, Mount Nelson Hotel, South African National Gallery, South African Holocaust Museum, St Mary’s Cathedral, Houses of Parliament, City Gardens, City Hall, District Six and the Castle of Good Hope to mention a few. You leave the City, heading towards the leafy Suburbs of Woodstock, Observatory, Mowbray, Rondebosch and Newlands, always under the gaze of majestic Table Mountain. Be sure to enjoy the iconic Groote Schuur Hospital, world-ranked University of Cape Town, President’s Groote Schuur Residence, Newlands Swimming Pool, Newlands Test Cricket ground, past several schools including Rustenberg Girls, Westerford High, San Souci Girls High, Groote Schuur, Rondebosch Boys and Bishops Diocesan College before you reach the historic Rondebosch Common. Turning back to the City alongside the Liesbeek River, you enter the vibrant, eclectic suburb of Woodstock, with her mix of craft breweries, the famous Biscuit Mill, several churches and restaurants. Expect a lot of advice and encouragement from the locals. This affords you incredible panoramic views of Table Mountain as you journey back to the City Centre. The city is now awake, and you experience her unique rhythm, the salty sea smell, the incredible Capetonian support as you run along the World Cup 2010 Fanwalk towards the Cape Town Stadium. 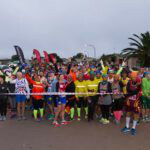 Your 42,2 km journey of the Mother City ends in the shadow of Signal Hill at Vlei Road outside the Green Point athletics stadium where 1000’s of spectators, runners and entertainers merge into a carnival of food, drink and celebration. Please take note of the following road closures in and around the start and finish areas. It is critical to get to the start early to avoid traffic congestion. The following roads will be effected or experience disruptions on the 22nd & 23rd September 2018. UBER: This year the Sanlam Cape Town Marathon collaborates with UBER, look out for the special Sanlam Reality UBER vehicles that offer a special deal. UBER Drop off & Pick Up points will be placed in Somerset / Main Road, Green Point opposite the entrance to Vlei Road. Your Timing chip has been placed on the front of your race number. The race number must be worn on the front of your vest and visible at the finish line. There is a foam backing on the back of the race number. Please do not remove the timing chip and foam strip from the race number – doing so will result in NO finish time. For safety and timing purposes, ONLY the person assigned to this race number may use it. Record – If the athlete is first in the 2019 Sanlam Cape Town Marathon and breaks the event record for the 42.2km he / she will qualify for an added record bonus of R100,000. Terms and Conditions Apply. These incentives are only applicable to contracted Sanlam Cape Town Marathon PAP field and South African Athletes. These incentives are not applicable for other competitions that may or may not be associated with the event. Payment of all prize-monies for the Sanlam Cape Town Marathon will be made no later than 14 days after receiving the doping test results. Due to the complexity of these results this often takes several months. Payments will only be made via EFT / bank transfer, to the account provided by the athlete themselves, or their duly authorized IAAF Athlete Representative. * Please note if you are an international athlete, Income Tax will be deducted from the prize money as is required by the South African Revenue Service. Furthermore certain Athletes and Managers may be required to get SARB approval prior to payment being made. All prizes and incentives are ONLY applicable to contracted Sanlam Cape Town Marathon PAP field and South African Athletes. They are not applicable for athletes from outside of South Africa who are not contracted PAP field athletes or athletes who are from outside of South Africa who are taking part in other competitions that may be associated with the event.